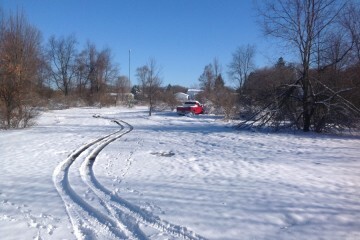 We provide 75 salvage yards in Quebec. 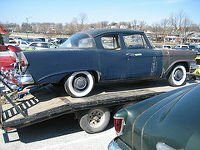 Check here the most extensive database of salvage yards for autos, motorcycles and vans in this state. We offer all the contact information you will need: directions, telephone numbers, sites, etc. 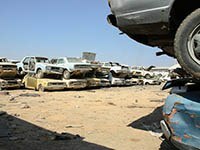 Search here a lot of brand new, used and second hand auto pieces in all the junk yards in Quebec. 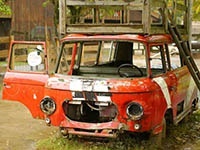 Many auto parts are detached from broken cars and put into inventory and are ready to be delivered next day. This junk yard is placed in Amos (Quebec) and it's distributing high quality auto pieces to its eventual purchasers in the area. In case you want to inquire an estimation for your used auto or ask for a particular second-hand spare, please contact them via email, tollfree and phone. You can talk with the attentive owners of this salvage yard using these means: tollfree, phone or email. In order to buy the best quality auto pieces in the town of Chicoutimi (Quebec), they are an ineluctable option. The Complexe automobile St-Paul timetable info cannot be found, however, you can check their website. They offer an highly qualified service at good prices, with an excellent breadth of catalog and with the guarantees demanded by its clients. Users can meet this junk yard in the city of Sainte-Sophie (Quebec). 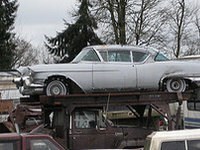 This salvage yard timetable information is not available but you can check its web. 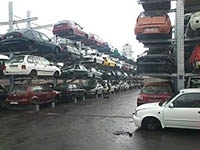 This salvage yard is situated in Sainte-Hélène-de-Bagot (Quebec) and it's offering the best quality vehicle pieces to its potential purchasers in the area. In case you need to inquire an estimation for your old auto or ask for a specific junk part, you can get in touch with them via email, phone and tollfree. 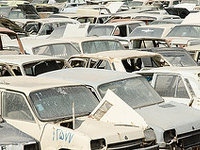 Habitants of the Saint-Jean-sur-Richelieu neighborhood can purchase an extensive catalog of used parts for their cars in this salvage yard. You can get in touch with them using: tollfree, phone and email. This junkyard opening schedule info cannot be found yet. Gaston Poulin Pieces d´autos inc. This salvage yard is situated in La Guadeloupe (Quebec) and it's providing the best quality auto parts to its eventual purchasers in the vicinity. In case you need to inquire a valuation for your used auto or ask for a particular second-hand piece, please get in touch with them via tollfree, email and phone. This business located in the municipality of Saint-Prime (Quebec), delivers a very specialized and efficient service to its customers, with surprising offers but with the best quality and a large breadth of catalog. Visitors have the option to contact them via: phone, email and tollfree. You can contact the friendly managers of this junk yard using these means: email, tollfree and phone. In order to purchase high quality auto pieces in the municipality of Bonaventure (Quebec), they are an ineludible option. This business operational hours information cannot be found, however, you have the option to visit its web. You can save hundreds of dollars on the maintenance of your well-liked car by buying used parts with guarantee in this popular in Saint-Jean-sur-Richelieu surroundings business. This junkyard business hours information is not available yet. 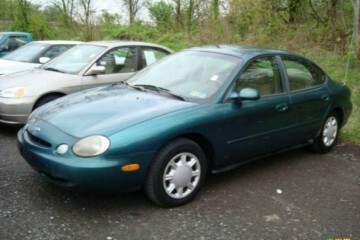 Do you own an used vehicle or are you looking for second-hand pieces for your automobile? 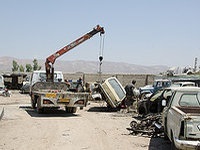 We recommend to approach this salvage yard, since it delivers an inmense inventory. This junkyard opening schedule info is not available yet. We deliver you the salvage yards with the most positive reviews from our users in Quebec. 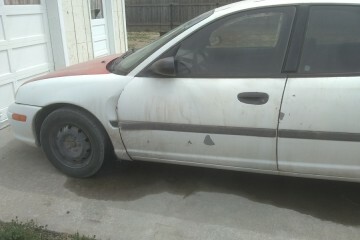 Tap below on your city to find car parts in this state. We offer the most extensive used auto parts directory in Quebec. Choose below the type of auto part you are looking for. 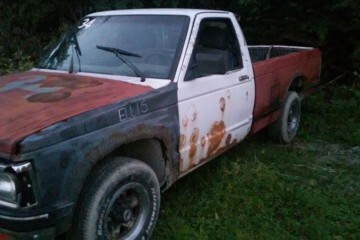 We are continually adding new salvage yards to our database. What you can see here is a selection of the newest in Quebec. If you have a business and you want it to be listed on our site, check the button in the upper left, it's free! If you are looking for the best second-hand spares in the Drummondville area, this salvage yard is an excellent choice to get them at a great price. You can get in touch with them via: email, phone and tollfree. 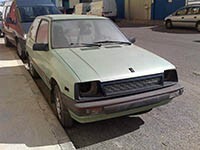 Do you own an old car or are you looking for used parts for your automobile? We recommend to approach this junk yard, since it delivers a gargantuan inventory. 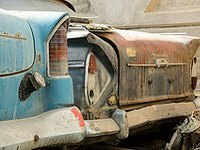 The finest method to economize a lot of money on spare parts for your car is by approaching a vehicle wrecking yard, and this is an excellent choice in the Saint-Eustache area. The junkyard spares can provide the same functionality as the ones bought in the official store. The only thing you should keep in mind in most cases is the use of the part and the warranty in the situation you are purchasing it in a salvage yard. 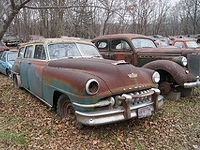 Would you like to include your JunkYard in Quebec, CA listing?